On January 20, Elisabeth Revol and Tomek Mackiewicz left base camp for a summit push on Nanga Parbat (8126m). They had been on the mountain in winter together twice before; in 2015 they reached 7800 meters and in 2016 they reached an elevation of about 7200 meters. This would be Mackiewicz's seventh attempt to climb the Himalayan giant in winter and Revol's fourth attempt. Muhammad Ali Sadpara, Simone Moro and Alex Txikon had made the first winter ascent in 2016, but Revol and Mackiewicz still hoped to complete an alpine-style ascent during the most difficult season. After acclimatizing and caching one tent and a shovel at 6600 meters, they were ready for a summit push. 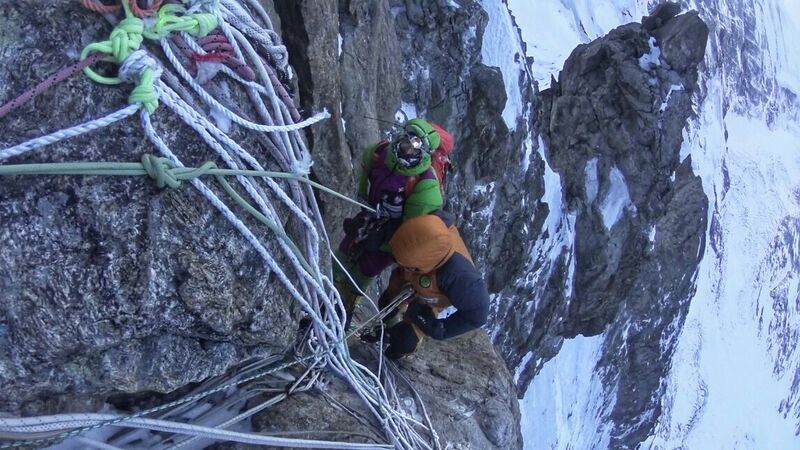 "Our style was light without fixed ropes," Revol told Alpinist after the expedition. Meanwhile, on K2 (8611m)—fewer than 200 kilometers away from Nanga Parbat—an elite Polish team was making progress on their attempt at a winter ascent by the Cesen Spur (they later switched to the Abruzzi Ridge after rockfall became too hazardous on the former). K2 is the last 8000-meter summit that still has yet to be reached in winter. Five days later, on January 25, Revol and Mackiewicz had summited Nanga Parbat, but they got into trouble on the descent as a storm was building. What unfolded over the next several days became a demonstration of heroism and solidarity in the international mountain community, as people from different nations worked together to try to help the stranded climbers. It also raised questions about modern rescues in remote mountains—about the limits of possibilities, about best practices in a digital and increasingly technological age and about disparities between which groups of people receive the most help. The first two days for Revol and Mackiewicz were uneventful as they made their way up to 6600 meters on a variation of the Messner 2000 Route, which climbs up and left of the normal Kinshofer Route before rejoining it around Camp 4, below the summit pyramid. 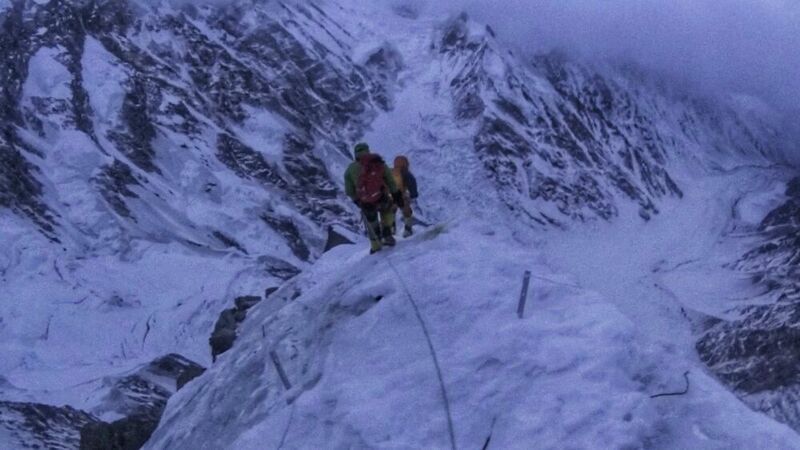 That second night, on January 23, "was very windy," Revol told Alpinist. "This continued the next day, making it inadvisable to move." Where in summer there is snow, in winter there is either ice or rock, so the climbing is more technical. The next things are wind and the temperature. On the summit push on Gasherbrum I [Bielecki and Janusz Golab were the first to summit this mountain in winter in 2012] we experienced wind chill around -60 Celsius. The wind can blow more than 300km/h on the summit because of the jet stream—very strong wind that blows at very high altitudes. [On] the 23rd, the wind was too strong during the morning but slowed down at midday. So it was possible to continue until 6900 meters. At 7000 meters, violent wind coming from the direction of the Mazeno Pass forced us to stop for the night just below the ridge. On the 24th we reached the ridge at 7000 meters and then continued up and right. Clouds and snow stopped us just after the traverse. We found a crevasse higher than the normal C4 that was perfect for a night at 7300 meters. On the 25th we crossed the large plateau, quickly joining the normal line of the Kinshofer Route, traversed the base of the summit pyramid, and started the final ascent. We reached the top between 6 and 6:15 p.m. That was late but we decided to continue together to the top because clouds arrived and it was not possible to see anything anyway, so climbing during the night wasn't a problem... only for the severe coldness! And it was [severely cold]. Mackiewicz began to suffer from snow blindness as they made their way down from the top. Altitude sickness and frostbite were also setting in, and he became unable to move independently. According to an Outside Online story by Marcin Jamkowski, titled "Rescue on the Killer Mountain," Revol sent text messages to their family members on her satellite device just after 11 p.m. that night, asking for a helicopter rescue. Mackiewicz's condition continued to worsen after they settled into a crevasse for the night at around 7280 meters. Revol sent more texts as the storm worsened. There is only one company authorized for helicopter rescues in Pakistan—Askari Aviation. The company requires a deposit before it will initiate any rescue. Revol and Mackiewicz hadn't made any such arrangements. A GoFundMe page was set up by mountaineer Masha Gordon to raise money for the rescue; eventually the Polish and French embassies came through with a total of more than $80,000, enough to cover the up-front costs of the rescue*. But there was still the matter of how to reach Revol and Mackiewicz—the maximum landing height for Askari's helicopters is 5000 meters (as listed in the company's briefing for rescue services). As the rescue operations mobilized on January 27, Revol realized that she would have to leave Mackiewicz in the crevasse so that she could descend and (she hoped) meet the rescuers who would have to climb up to reach them as the weather continued to worsen. She left him in a sleeping bag with nearly all their gear and started down the Kinshofer Route. In 2009, she'd lost another partner, Martin Minarik of the Czech Republic, when he disappeared on their descent from Annapurna in 2009. In the wake of the loss, she abstained from climbing big mountains until 2013, when she made her first winter attempt on Nanga Parbat. Members of the Polish K2 expedition were acquainted with Mackiewicz and Revol, and they followed the chain of events with grave concern, even as the K2 expedition was making decent progress. For Bielecki, finding out that Revol and Mackiewicz were in trouble was terrifying. They had been together as members of different expeditions that were hoping to do the first winter summit of Nanga Parbat in 2016. Revol had made her presence felt from the first moment Bielecki met her. "I had this strong feeling...that this small lady is actually very, very strong, both mentally and physically," he said. "I saw that she's a really tough climber." As he got to know her better over the course of the three months or so they were together at the Nanga Parbat base camp, his respect for her increased. "A year ago, we planned to open a new route to Everest together," he said. "But just 10 days before leaving, I broke my hand." Denis Urubko, a member of the Polish expedition, was at K2 base camp when he first heard there was trouble at Nanga Parbat. He was planning to head to Camp 1 on K2 and to Camp 2 the next day, as part of his acclimatization. But by the time he reached Camp 1, something made him turn back. "I felt that for my friends, my team, it will be necessary to use my efforts and my experience in high-altitude rescue," he said. "By around midday on January 27, I was back at base camp." The K2 team and a group of Pakistani climbers who were attempting one of the Gasherbrums were the only climbers in the area. When the helicopters came through on January 27, Urubko, Adam Bielecki, Piotr Tomala and Jarek Botor had been ready and waiting to be picked up for the rescue. "We had breakfast at 7 a.m.," Bielecki said. "For that breakfast, I came down already with my down suit on, harness, etc. We finally flew, but around 1 p.m. or even later." For Bielecki, to have to wait while knowing that his friends were stranded high up on the mountain—and that every hour might bring them closer to death—was "the hardest thing in all of the rescue." The helicopter dropped the rescue team off on Nanga Parbat half an hour before sunset. It was already late. But they felt that it was crucial that the helicopter take them to a point near Camp 1. "Because from base camp it would take us too long to reach Elisabeth that night," Bielecki said. They didn't know exactly where they might find Revol on the mountain. 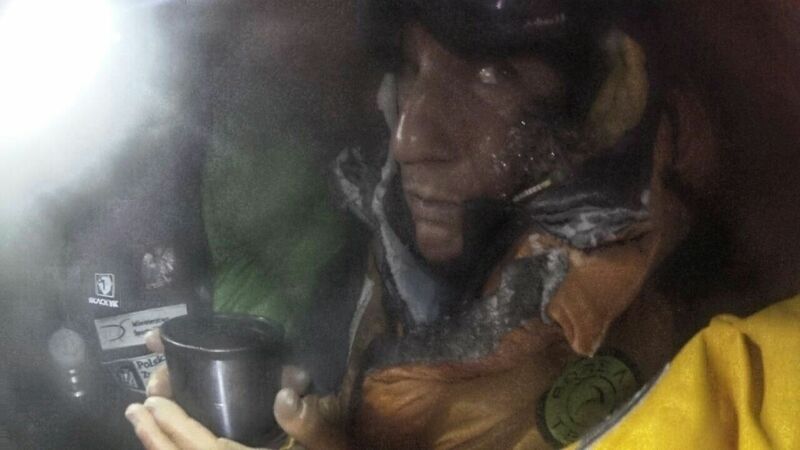 "The helicopter left us 100 meters below Camp 1, at about 4800 meters," Urubko told the Spanish magazine Desnivel. "No helicopter had landed earlier in this place, so close to C1. When we approached, I was guiding the pilot and said, 'If there is a possibility, leave us here.' And he said, 'Let's try it,' and he deposited us in that place." "The helicopter pilot took a very strong risk for this mission with his life," Urubko later told Alpinist. "It was a very small path, it's unusual, in my opinion, that helicopters are landing there. It saved me and Adam, and other members of the rescue team, around five to six hours of the very difficult rush over the deep snow over the glacier." Without wasting any time, the rescue team began climbing the Kinshofer Route, which provided a more direct line to the stranded climbers than the Messner 2000. Altitude could be lost faster [on the Kinshofer Route], the way down to Camp 3 could be done without fixed ropes. [On the Messner 2000 Route], retracing our route on the Diama Glacier would expose me to crevasses: too dangerous for a solo climber. I was convinced at the time that a helicopter could rescue Tomek if I got down as far as I could. Bielecki and Urubko moved at an extraordinary speed up the mountain—they climbed around 1200 meters in eight hours while temperatures dropped to -60C. "Adam and me, we were very well-trained before the expedition on K2 and of course we were already acclimatized on the slope at around 6,000 meters and it helped us to expend, in short time, a lot of efforts," Urubko said. "A lot of power just to rush in one direction." They also chose to travel very light for the sake of speed. "We did not have any bivouac gear," Bielecki said. "No sleeping bag. In my backpack, I just had a little bit of food, drink, a bivy sack, one stove, gas can, spare mittens and maybe two-three things more. That's it." As they climbed with all the strength they had, everything seemed to come together for them. "We were able to continue very warmly, without additional protection; there was not a strong wind," Urubko said. "By the couloir we found some old fixed ropes and on the rocky face there was enough possibility to choose the correct route—the right way." Here, for a moment Bielecki felt haunted by his own history with the mountain. "I had some second thoughts at the entrance of the Kinshofer couloir because I had an accident when climbing there two years ago," he said. "I almost killed myself because of a broken fixed rope. I also have this rule that I don't climb on old fixed ropes. And here I am, climbing at night, in the same place I almost lost my life and the only help are old fixed ropes.... It's not such a common thing to climb at night, but also it's not as unusual as you might think. We know how to do it. But we usually don't do it in winter on altitudes above 5000 meters because it's too cold. But this time we literally had no choice. Because of the risk that Eli [Revol] wouldn't survive the coming night." Urubko, who was leading the climb, was the first to encounter Revol in the dark. "One moment I heard him screaming, 'Adam I can hear her!'" Bielecki said. "But I wasn't sure—there was a strong wind and it's not possible. A moment later he shouted, 'Adam, I got her! I got her!'" A few minutes later, Urubko brought Revol to a narrow ridge where Bielecki was waiting for them. "For me, it was very emotional," said Bielecki. "I was happy, almost crying that we found her. She was in a condition I would describe as 'OK' considering what she had to go through." Revol had made her way down the Kinshofer Route to a crevasse at around 6100 meters where she spent the night. She described having hallucinations: "I imagined a woman was bringing me hot tea," she told the Guardian. "A woman asked me if in return she could take my shoe. At that moment, I automatically got up, took off my shoe and gave it to her. In the morning when I woke up, I was only in my sock." "She was really frostbitten," Bielecki said, "and she was unable to do any manipulation with her hands. She couldn't clip on and off the carabiner. She didn't have anything on her; she didn't have a headlamp. No backpack. No Karrimate (sleeping pad). She had a harness on, but without a carabiner or anything attached. [To go down] she'd used the fixed rope, grabbing it with her hands without clipping into it. She went all the way down just with her crampons, without using an ice axe...."
Urubko and Bielecki knew they had to act very quickly. "Immediately, I changed her very thin gloves for my mitts [which were] very warm, very big and protected her well," Urubko said. "We took her down 50 meters to one of the platforms of Camp 2. There we found a good enough place to sit for three persons." They heated some water and gave Revol pills to help her blood circulation. They then tried to make sure Revol was comfortable so she could get some sleep. "She put her legs on me and she lay down on Adam's side," Urubko said. "Me and Adam, we had to hold the tent during the night, because it was not a normal tent. It was just a cover, a sheet of material. It was very windy but it was important to give Elisabeth as much sleep as we could." The next step was to figure out how to get Revol down the mountain. "From the very beginning when I saw her, we understood that she may not be able to rappel on her own," said Bielecki. "We need to lower her on a rope. I really admire what she did, that she was able to descend on her own—from 7200 meters or 7400 meters where she parted with Tomek—to 6100 meters." They took turns ushering her down the technical terrain with tandem rappels and then by lowering her and down climbing with her on the snow slopes. "For Elisabeth, what was necessary was just to move the legs," Urubko said. "We were fortunate that with Adam she was able to move by herself." "She really performed a lot on our way down," Bielecki said. By then, the rescue team had decided that they had to leave Mackiewicz behind. "Of course, many people ask why we didn't help Tomek," Bielecki said. "The answer is simple: For me the first question was if he could move. When Eli said he couldn't move, for us it was clear that we were unable to help him." "The other option was to continue climbing up the mountain and to leave [Revol] to die, with a very weak possibility [that we might] find and rescue Tomek as two people," Urubko said. "We chose to rescue Elisabeth." After receiving basic treatment at the Nanga Parbat base camp, Revol was immediately flown to Skardu and taken to a hospital. The next day, she was helicoptered to the capital, Islamabad. On January 30, she flew back to France. She told Alpinist that the prognosis for the frostbite on her hands and feet was "not so good." Gordon said Revol ultimately spent two months in a rehabilitation center in Grenoble, France. "She will be spending the summer cycling/running to reeducate her limbs to function fully," Gordon said. "She is in a pensive state that is well reflected in her homage to Tomek on her Facebook athlete page." The advances of modern communications technology have given rise to an acceleration of news, disseminated across an almost infinite number of channels. Wives of high-altitude expedition workers in Pakistan describe a time when word would reach them weeks after their husbands had died on the mountain. Now, with satellite phones on the mountain, Internet at base camp and climbers carrying GPS trackers, you can follow their progress live. So many people tuned into Bielecki's tracker for updates that his website crashed. Janusz Niedbal, Bielecki's childhood friend, describes the panic when the audience couldn't follow his progress. He was inundated with phone calls and text messages from loved ones and concerned parties. Everyone was asking what was happening on the mountain. "Of course, I knew it was crucial but I couldn't get connected with the IT specialist for that website," he said. Even when he did, there was nothing the specialist could do. "It was absolutely unpredictable that so, so many thousands of people wanted to follow Adam's GPS," Niedbal said. Help came from an unexpected source. "I was contacted by the director of Google Polska (Google Poland), and she said she will make it possible for, as far as I remember, 40 million people per day to check the website," he said. "The problem, in a few minutes after that conversation, just disappeared and it was a great relief." Crowdfunding is another phenomenon of the digital age. Andrew Bisharat reported on EveningSends.com that the crowdfunding effort raised about $80,000 in 24 hours. Bisharat pointed out that the crowdfunding strategy for rescues is fickle: "It might inherently favor climbers who are more popular or famous—which is ethically problematic for obvious reasons." Who Benefits the Most from Modern Rescue Technologies? While crowdfunding has worked for high-profile climbers, how successful would it be for those less known? How accessible are rescue services to, say, a Pakistani expedition worker? There is an inherent disparity. An international mountaineer may choose to visit these mountains in search of self-fulfillment, but a local worker may feel that expeditions provide one of the few available opportunities to earn money for their families. And if the climber decides to cut costs and forgo any kind of rescue insurance, that decision can impact the hired expedition workers as well, who have less of a choice in the matter. Paul Charlton is an emergency-room doctor based in Seattle who has been going to Nepal and Pakistan to climb since 2000. He's also been involved in public health and conflict management in those countries since 2004, specifically as a consultant for Khurpa Care Pakistan. When it comes to helicopter rescues, he said, the situation in Pakistan is different than that in Nepal, which has hosted bigger and better-funded expeditions for a longer period of time, and where there have been more outspoken discussions of the inequalities among international climbers, Western guides and local expedition workers in recent years. Helicopter rescues are more available in Nepal because there are civilian operatives who can provide the service, and thus expedition workers also have more access to rescue services in that country than they do in Pakistan, he said. Askari Aviation, Pakistan's only helicopter rescue provider, is owned and operated by the military and thus operations are subject to stringent guidelines such as the aforementioned deposit that is required before any rescue is initiated. "Theoretically, an expedition could provide a deposit so that a rescue would be available to any one of its team members, including its high-altitude workers," Charlton said. The personal rescue insurance that foreign climbers often have, however, would not be transmittable under the current system to help others, such as the locally hired workers who may get hurt or need assistance while working for the expedition. "More highly funded expeditions are starting to come to Pakistan. Morally, it would be ideal to ensure their workers have the same life-saving services that would be provided to the climbers," Charlton added. In typical scenarios, Pakistani high-altitude workers have rallied to try to save one of their own, often without outside help and scant resources. It's clear to some people that there should be a better solution for all the parties involved. Steve Swenson—a revered alpinist with vast mountaineering experience in Pakistan, author of Karakoram: Climbing Through the Kashmir Conflict (2017) and former president of the American Alpine Club—confirmed with Alpinist that he is working on a deal with Askari Aviation in which AAC members who have purchased the full Global Rescue membership will not need to pay a deposit to Askari. "All the expedition members would need to be GR members, and Askari will still charge a $300 processing fee," he said. "But the big thing we are trying to accomplish is to eliminate the cash deposit, which is pretty onerous for many people." A spokesperson for Global Rescue told Alpinist that currently "Global Rescue memberships begin at $119 for a seven-day individual medical membership. The...membership fee covers all costs for services we provide associated with an evacuation, from the point of injury or illness to the home hospital of choice. Any hospital bills that a climber might incur would be covered by the climber, by personal health insurance or by traveler's insurance." David Falt is an alpinist and conflict resolution specialist who has been climbing in Pakistan's Hunza Valley since 1989. He has extensive experience working with government agencies and coordinating rescues in the country. He has ideas to address the issue of funding rescue operations, which he said requires measures that go beyond the American Alpine Club. "Now the world is bigger than the AAC," he said, "and what if we have a mixed French/US team, what would [Global Rescue] do? And what about non-GR/AAC climbers? We need to zoom out and find a permanent sustainable solution.... The Alpine Club of Pakistan should be involved." -Access to a rescue bond that anyone with an alpine club membership (with insurance) and a valid permit can "draw" from in a emergency, basically a revolving credit until Askari can recover its expense from an insured climber. -[Get] Askari [to] allow longline rescue efforts.... Most professional rescue workers would only go on a longline around or above 6000 meters with a pilot they know, so that requires Askari to allow other pilots to fly the "bird." -An Alpine Club of Pakistan insurance solution for climbers who are affiliated with alpine clubs that don't have insurance partners. As for the Nanga Parbat rescue, Bielecki acknowledges that many people were involved at multiple levels. "I also want to underline that this rescue was not just me and Denis, you know," he said. "We are the ones who climbed to Eli but it was possible because of involvement of many people. Our teammates from the K2 expedition—all of them volunteered for the action. The Pakistani pilots, Polish and French embassies, but also people who were coordinating the action from France, Italy and Poland and of course my two friends Piotr Tomala and Jarek Botor who flew from K2 base camp to Nanga Parbat with us and were securing our backs. I was reading the comments regarding the rescue [on the Internet] and I get the impression that some people think Tomek and Eli went for a walk and they got lost and all we needed to do is wear our jackets and put our boots on and go and find them. Obviously, it is not that easy because...simply speaking, there are few people who can go and climb 7000- to 8000-meter mountains in winter. There is no miracle rescue team and 'super-trained super forces' that can go up the mountain and help somebody." In recent weeks, as this article neared publication, three more rescues were carried out in Pakistan. In the last days of June, an avalanche buried three climbers in their tent at 5900 meters on Ultar Sar (7388m), killing Christian Huber of Austria who lived in Boulder, Colorado. 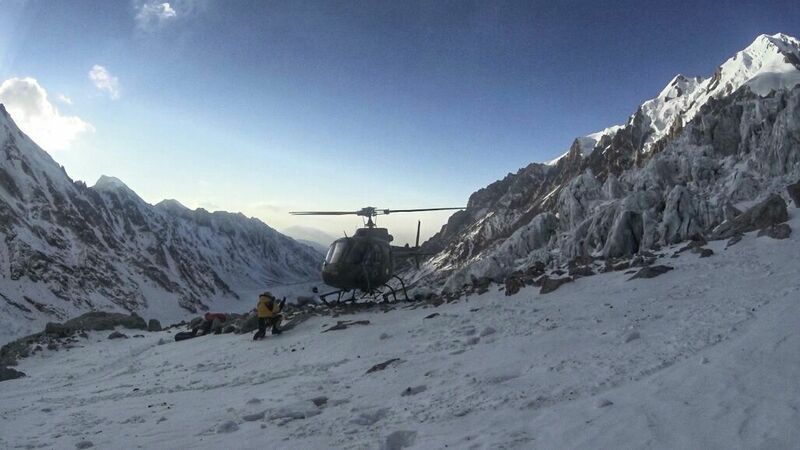 One of the surviving climbers sent a text message to a friend in the US and an Askari Aviation helicopter was able to reach them July 1. On July 9, Scottish climber Rick Allen was climbing solo on a new route on Broad Peak and was presumed dead when he didn't return and no one had seen him. The next day, a high-altitude drone located him on the mountain and he was subsequently helped back to base camp, having sustained a 100-foot fall. 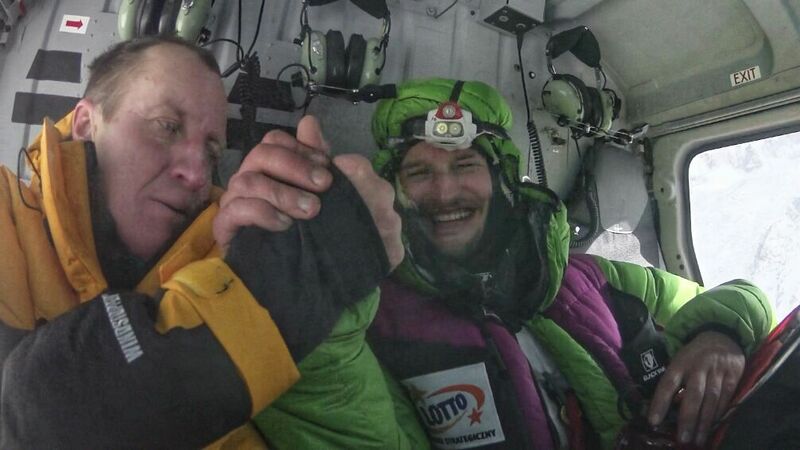 Then, on July 31, Alexander Gukov of Russia was rescued by a helicopter longline extraction from 6200 meters on the North Ridge of Latok I (7145m) after being stranded on the mountain for a week when his partner Sergey Glazunov fell to his death with most of their equipment on July 25. Another update on the rescue deposit situation in Pakistan. It is my understanding that several adventure tour companies that are members of Pakistan Adventure Tour Operators (PATO) have contributed to a deposit with Askari Aviation. I've been told that clients of these operators can use this deposit instead of posting one themselves (currently $15.000 USD). Trekkers and climbers to Pakistan can ask their tour operators if they are members of PATO and if they have contributed to a deposit with Askari that can be used in lieu of posting their own deposit. It is very important that climbers and trekkers make arrangements to either; make their own deposit, work with a tour operator who has made a deposit, or have a medical rescue membership with an organization that has an agreement with Askari to waive the deposit for its members. (Global Rescue claims an agreement with Askari is imminent). Not making these deposit arrangements ahead of time creates delays when a rescue is requested. We know that every moment counts in these situations.